bar none group: Beach Reading: Bar None Anthology Discounted for Summer! Beach Reading: Bar None Anthology Discounted for Summer! 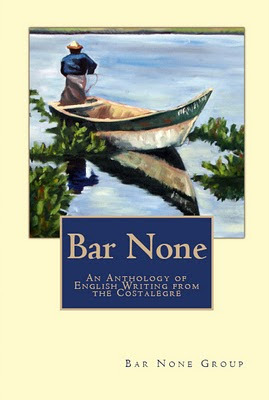 Put the Bar None Anthology on your summer reading list! Whether your enduring the summer rains in Barra de Navidad or the summer swelter north of the border The Bar None Anthology will bring you closer to your friends and to the center of your soul - Barra de Navidad! Order your copy today through Amazon or pick up a copy at Chynna's Backstage Bar (Rey Momo's) in Barra, the Orillia Farmers' Market in Canada where you can meet the cover artist, Sharon McBride or in Europe at mi casa in Firenze, Italy.